Showcase your floors with the subtle luxury of this suede leather rug. This hand-woven rug features a patchwork stripe design in a neutral color scheme, ensuring it brings interest to a room without overwhelming it. Perfect for your living room, den or rec room, this rug protects your floors while adding warmth and character. 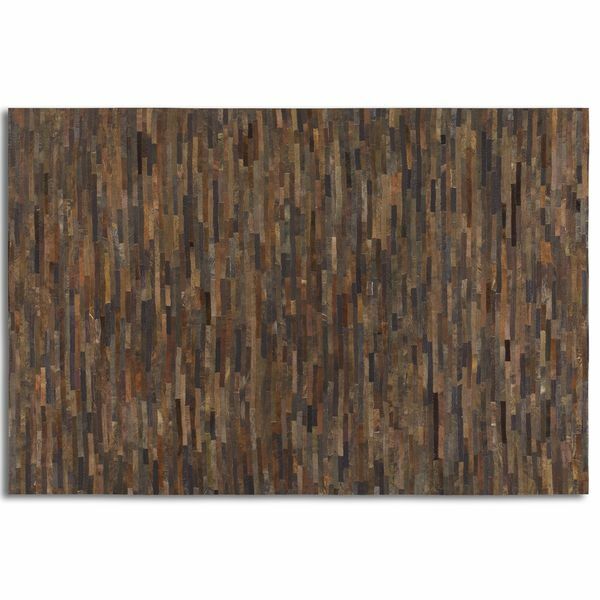 Hand-Crafted Couristan Chalet Tile Brown Cowhide Leather Area Rug - 8' x 11'4"
Artist's Loom Flatweave Contemporary Solid Pattern Leather Rug (3'6"x5'6") - 3'6"x5'6"